It is November, not January, or September for other non-conformists, that marks the beginning of the year in my house. November can be a tough month. Some grow mustaches for a great cause, and select lucky ones fly off to sunnier destinations, since it’s too early for skiers to ski, too rainy for bikers to bike. The rest of us grin and bear November and the rain it inevitably brings. 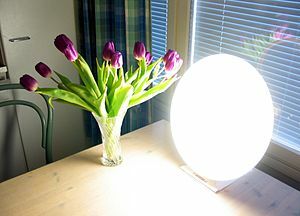 Or go out and buy a sun lamp to lessen their Seasonal Affective Disorder. By November, the craziness of September is out of the way – ironing out multiple routines for children, figuring out how to be in three places at once, dealing with new teachers and coaches and expectations of advancing education. October provides last glimpses of decent weather and a brief breather before the Halloween onslaught begins, the indecision about what to be and how to find it culminating, of course, in a sugar crazed fit of hysteria and exhaustion by 9 pm Halloween night. We wake up with sugar hangovers, and welcome November. The costumes are put away, the candy stash dwindles, and we settle in for a long winter season. Like clockwork, a desire to purge and organize my house overtakes me. My children were a vital part of this process. At first they voiced their discontent with shrill screams and tears, but once they understood I was trying to create a better, organized (if not bucolic) setting for them to play in, they were a great help. I would ask them if they still played with an item, and if it was in good working order and they assured me it would be used, we found a bin or basket for it. If the toy in question was broken or of no value to them, they gamely put it in the proper pile to give away or recycle. At the end of the day (literally – it took all day) they were so pleased that they had helped create this newly organized world, still slightly cluttered but yet new, fresh ground, ready for them to unleash their limitless imaginations. Next step: their closets. Deep breath.